A four-day Tibet solidarity campaign started on the 30th of January in New Delhi, with Indian leaders from both sides of the parliament expressing their solidarity and support with Tibet. The four-day Tibet solidarity campaign began on a high political note in the Indian capital on the 30th of January with top Indian leaders from both sides of the Indian Parliament expressing their support and solidarity with Tibet. Former deputy prime minister and stalwart Indian leader LK Advani shared the stage with official representatives of the ruling Indian National Congress and members of parliament, Priya Dutt and Dr EM Sudarsan Natchiappan. Over 5000 people, including 4500 Tibetans from India, Nepal, and Bhutan and nearly a thousand Indian supporters filled the Talkatora Stadium carrying Tibetan national flags and banners calling for Tibet’s freedom and international support. 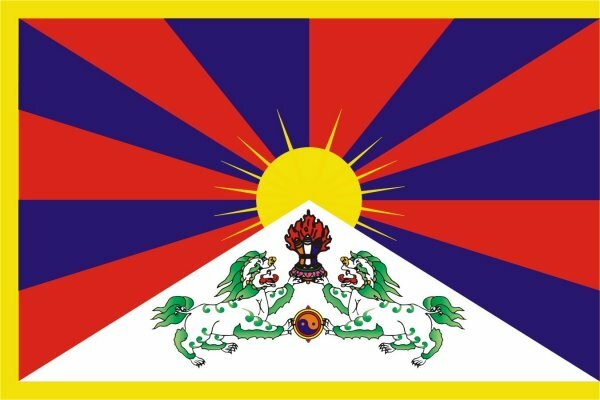 “Political freedom in Tibet is non existent. Anybody who raises slogans calling for the long life of His Holiness the Dalai Lama, about Tibet’s independence is sent to jail,” Speaker Tsering said, while calling for greater support from heads of governments around the world. Delivering the keynote address, Sikyong Dr Lobsang Sangay, the elected head of the Tibetan people, noted that China’s “unacceptable occupation and unbearable repression” has led to the self-immolations of 99 Tibetans since 2009. “Tibetans in Tibet have spoken. Tibetans in exile have spoken – not only in our hearts we believe we will regain our freedom and His Holiness the Dalai Lama will return to Tibet but in our heads also we believe,” Sikyong Sangay said. Addressing the solidarity event, veteran Indian leader, LK Advani recalled his feeling as a student when Indian got its independence in 1947. “When India got its independence, it felt like we have touched the sky and I am certain that for the Tibetans also such an opportunity will come,” Advani said to a rousing applause from the crowd. The octogenarian leader, while expressing his hope for the 21st century to become an Indian century, noted that it could also become China’s if Beijing considers a “peaceful and satisfying settlement” with the Tibetans. Advani further pledged to remind the Indian public of their responsibility towards the Tibetan people. MP Priya Dutt, speaking on behalf of the ruling Congress Party, expressed her concern and solidarity with the people of Tibet and paid homage to the Tibetan self-immolators. MP Dr Hassan Khan, representing the National Conference and Dr EM Sudarsan Natchiappan of the Congress, also addressed the gathering.